The written word is no longer something we need to consume by turning the pages of a book. Not only are we able to store thousands of books on digital e-readers, we could even enjoy the stories through audiobooks. But in order to fully immerse yourself in the world of audiobooks, you need to cancel the world around you – the noises of cars and the cries of children. 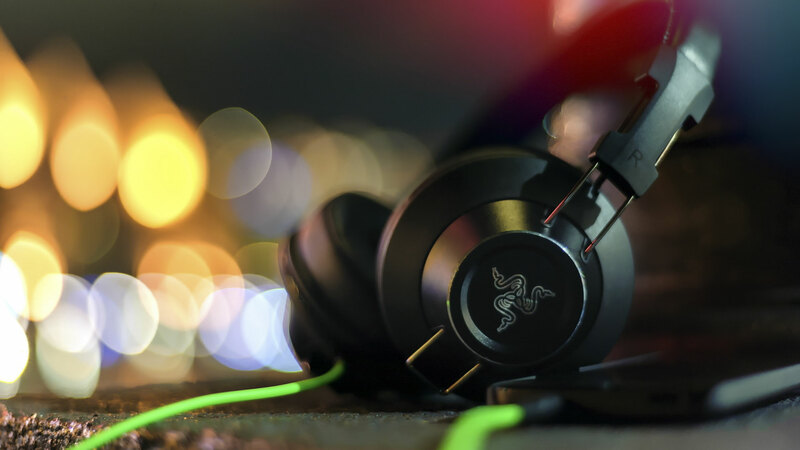 You need a good pair of headphones to allow you to be swept away by the stories. So, how can you pick the best headphones for listening audiobooks? Let’s look at the qualities you need to keep in mind, the types of headphones to choose from and a few ideas on the best headphones for listening audiobooks in 2017. When it comes to selecting headphones for listening books, there are a few special characteristics you want to focus on. Headphones for listening books are definitely different from finding headphones for listening to music or going for job. Noise isolating headphones, which attempt to segregate you from the ambient noise by creating a physical barrier. These tend to allow some level of noise to get through and therefore, make great headphones for those travelling (you don’t want to miss all the announcements, for example!). Noise cancelling headphones, on the other hand, work by using special technology that neutralises the offending soundwaves. These tend to remove all incoming sound and are, therefore, great for hanging out at home. However, noise-cancelling headphones tend to be more expensive. Earbuds, which sit in the pinna or outer ear of your ear. The earbud model covers the opening of the ear canal but doesn’t go inside. These have a good frequency for high sounds but not as good for low sounds. In-ear models, these are similar to earbuds with the exception that they enter your ear canal like earplugs. These provide great isolation of sound and have better frequency response. Supra-aural headphones sit on the ear, with a band going over your head or clips that go behind your ears. Used by people who want something small but can’t use earbuds or in-ear models. Regular over the head headphones, you also have the general headphones that sit on top of your ears with a band or other such structure going above your head. The Quality of the Sound. Aside from the noise reduction, you have to pay attention to the quality of the sound. This is determined by the sound frequency – the depth of the lows and the highs. This isn’t as essential for audiobooks, but you still don’t want the book listening ruined by a crackling sound. Additional Features. Finally, you need to think about the importance of additional features. The main feature is wether you want the headphones to be wireless or not. You then need to think about the control of listening – how can you pause, skip or adjust volume? Some allow this to be done by touching the headphone and its included buttons, while some headphones might require you to simply use your device (such as a smartphone) for managing the books. Wireless Headphones – Best choice for those use listen to books while moving around. For a budget-friendly option, check LG Tone Infinim HBS 900. If you have more money to spare, consider JayBird X2 Headphones for added luxury. Noise Cancelling Headphones – If you want to remove yourself from the real world when listening books, pick the Cowin E-7 Noise Cancelling Headphones. The Boss QuietComfort 35 is another great option to keep in mind, especially if you have money to spare. Noise Isolating Headphones – For those moving about and wanting something simple, yet special, the Status Audio HD model is a great pick. Another compact option is to pick Bose’s SoundSport model, which is great for those listening to audiobooks while exercising. The above headphones have added features, which also add a bit in the price. If you are after something more affordable you have plenty of good options. In-ear headphones are a great budget friendly option for listening audiobooks. Check out Panasonic RP-HJE120 or Dr Dre’s Monster iBeats. If you don’t like your headphones to enter the inner ear, opt for earbuds with EGRD Wireless Bluetooth AirPods offering a great budget friendly option. In full-sized headphones, you could opt for JVC HARX700 Precision headphones or the AKG Y50s. AKG has plenty of other budget-friendly models if you are looking for additional features without adding too much to the price tag. When it comes to shopping for headphones, compare different options online to find the best deals. So, if you love books and you don’t always have time to read, make your audiobook listening experience more fun with the above tips for the best headphones. The above examples should help you find a great pair of headphones that makes listening to books fun and relaxing.